He is greatly maligned by CAIR, The Moslem Brotherhood, and dozens more, some of who have threatened him. HATE is what the Islamists are all about and they accuse the author of being a hater, which he dispels in the forward to this invaluable guideline. Islamist and Moslem haters call people who know too much about Islam Islamophobes which is a fake, contrived word. People such as this author are in fact Islam-Aware, a term that Islamists hate. 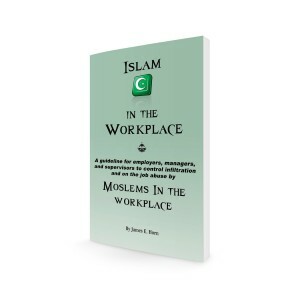 Islam in the workplace is a clear, 95-page guideline for employers, managers, and supervisors to control and manage infiltration and on the job abuse by hostile employees. This is an essential guide for all professionals as well as supervisors, managers, and co-workers. The author has worked successfully as an HR professional (manager) for six years in international, multi-cultural environments. He knows what he is talking about. Hundreds of unaware American and Canadian employers (employers in all non-Moslem countries) have fallen victim to Islamic abuses and “lawfare”. These suits have resulted in millions in lost income and fines, and other lingering problems for companies such as Dell computers, many other manufacturers, trucking companies, warehousing operations, food processors, and the list goes on. Identified by the Federal Bureau of Investigation as a criminal enterprise, the Council for American-Islamic Relations (CAIR), a Mafia like organization involved in using laws and other means to blackmail, intimidate, shake down, and abuse companies, organizations, managers, supervisors, etc. CAIR has promulgated “an employer’s guide to religious accommodation” telling these entities how they should bow down and submit to Moslem demands, no matter how, ruinous, damaging, or destructive to the company, which is actually a goal of the Islamists/Moslems – chaos and destruction. James Horn, an experienced, knowledgeable, and acknowledged expert on Islam and its goals, motivations, and modus operandi has taken this bigoted, biased Islamic, sharia driven “guideline” and dissected it paragraph by paragraph, totally discrediting its content. 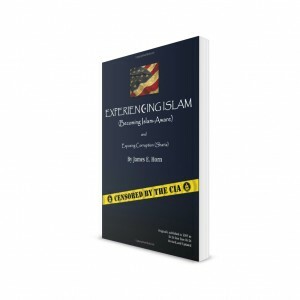 He reproduces each paragraph of the CAIR guideline, taking each paragraph apart and provides a subsection to each CAIR paragraph guide or demand and debunks its meaning, purpose, falsehoods, and more. He then gives a clear professional explanation of the meaning of the paragraph and its purpose, and then offers solid, workable solutions to thwart the Islamists, to stop Moslem bullies in their tracks. For example, Moslems claim that they are required to pray five times per day, and use this as a ploy to stop or disrupt workplace activities while they scrabble around on the floor making their prayers, etc. They lie! Horn points out that while Moslems indeed are required to pray several times per day, if their prayer scheduled times occur while they are otherwise busy making war, robbing, stealing, attacking and abusing women, practicing their dawah, spreading lies, etc., they may forgo those prayers and make them up in the evening. That dictate is laid out in their Koran, the word of Allah, as related by Mohammed. 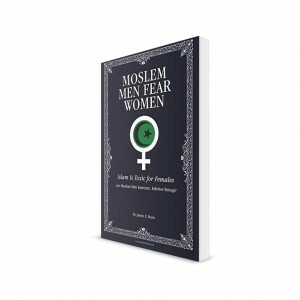 The author provides other invaluable information to the reader regarding issues of safety, health; and concludes with a Glossary of Islamic terms that are very useful in understanding what goes on in the heads of Islamists, which is very different from what goes on in the heads of civilized people.